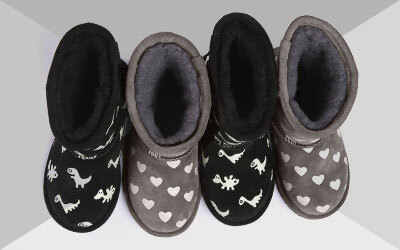 The EMU Australia Toddle is a Merino wool lined suede bootie for toddlers and first walkers. Warm, soft and comfortable on a flexible rubber sole, learning to walk has never felt so good. For those taking their first steps, the Toddle is a soft suede toddler boot lined with cosy Australian Merino wool to keep feet perfectly warm and snug. Built on a flexible moulded rubber sole for grip and traction, it features a full velcro closure for a snug and easy fit.